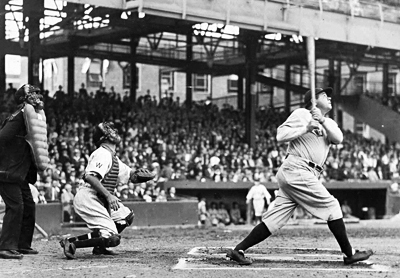 “The Bambino” Babe Ruth holds the record for the most homers by an American leaguer in June. In 1930, The “Sultan of Swat” hit 15 home runs in June 1930. Editor’s Note: While his Yankees failed to make the World Series for the second time in a row (after three consecutive trips to the Fall Classic), Ruth still led or tied for the league lead in home runs each year from 1929-1931. 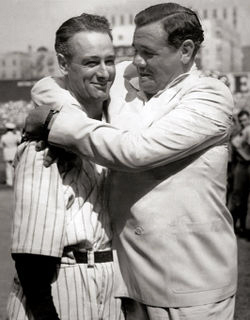 Although it was their individual achievements which landed Babe Ruth and Lou Gehrig in The 500 Home Run Club and the MLB Hall of Fame, it was their dynamic duo act that had many claiming that that the 1927 Yankees - nicknamed the “Murderers' Row” - were the greatest team of all time, as they both hit 25 home runs apiece to propel the Bronx Bombers to a 49-20 record at the end of June.